Silkroad Carpet Cleaning Technicians have been serving the area for several years. At Silkroad Carpet Cleaning, we work with integrity and we make sure that the job is completed to your satisfaction. 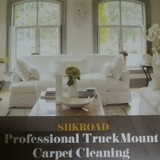 Silkroad has the skills to handle all of your carpet cleaning needs so call us today for a quote! John Carsten has been cleaning carpets for over 18 years. He is a Master Cleaner and fully qualified to handle the toughest jobs. John uses the latest equipment to insure that you receive the best possible cleaning and or repairs. 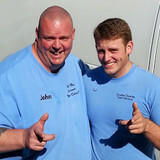 Look for the van packed with cleaning power and manned by the Cleaner Who Cares! Using a truck mounted Hydra Master Maxx 470 power unit, cleaning even heavy soil is no problem. The Hydra Master is capable of heating the solution to a temperature of 250° F and develop pressures up to 1000 PSI to insure solid cleaning even when long hose runs are required. The Rotovac Powerwand replaces the manual scrub wand for extraction carpet cleaning. Combining rotary agitation with hot water extraction, the Rotovac cleans better, leaves the carpet drier and is much easier to use than a wand. A person with a manual scrub wand can only make around 60 two directional cleaning passes per minute. As the person tires this number decreases, along with the quality. 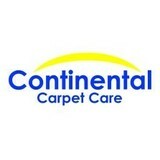 Continental Carpet Care, Inc. is a carpet cleaner / carpet cleaning service serving the Bellevue, WA area since 1989. Services include Carpet Cleaning, Steam Cleaning, Commercial Carpet Cleaning, Water Damage Restoration, Carpet Stain Removal, Hot Water Extraction, Tile & Grout Cleaning, Odor Removal, Oriental Rug Cleaning, Upholstery Cleaning and Area Rug Cleaning. Serving towns of Seattle, Bellevue, Renton, Bothell, Redmond, Kirkland, Issaquah, Woodinville, Maple Valley, Mercer Island, Kenmore, Medina, Beaux Arts, Clyde Hill, Hunts Point, Mill Creek, Newcastle, Normandy Park, Sammamish and Yarrow Point. Water Damage Olympia WA | BBB A rating, family owned company since 2004. 24/7 live calls, on our way in 1 hour or less. Free estimates, direct insurance billing. flood damage, sewage cleanup, water cleanup. 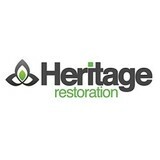 Heritage Restoration is a full service, independent restoration company. For more than 12 years, Heritage Restoration has played an integral part in the recovery efforts from natural disasters, fires, and water damage for both commercial & residential properties, throughout Western Washington. SCB Floor Cleaning uses the Rotovac extraction system allowing a deeper clean on carpets with less drying time. SCB's carpet cleaning services are budget friendly and priced per room for residential. No complicated estimates needed. Floors N More is a carpet cleaner / carpet cleaning service serving the Shelton, WA area since 1985. Services include Carpet Cleaning, Commercial Carpet Cleaning, Carpet Stain Removal, Odor Removal, Hot Water Extraction, Tile & Grout Cleaning, Area Rug Cleaning and Upholstery Cleaning. Serving towns of Allyn, Belfair, Bucoda, Centralia, Elma, Grapeview, Home, Hoodsport, Lacey, Lakewood, Lilliwaup, Littlerock, Longbranch, Malone, Matlock, McCleary, McKenna, Oakbrook, Oakville, Olympia, Port Orchard, Rochester, Ruston, Satsop, Shelton, Tahuya, Tenino, Tumwater, Union, Vaughn and Wauna. Being in the industry for over 25 years, Chem-Dry of Seattle has been providing superior carpet and upholstery cleaning services throughout the Seattle, WA area. We employ patented hot carbonating extraction cleaning process that penetrates deep into the fibers of your carpet and upholstery, removing an average of 98% of common household allergens. Our professionals work with the mission to help our customers' live healthier lives by providing you with clean carpets and a healthier home. Our network has expanded over recent decades to offer thousands of successful franchises throughout the world. We promise our customers that our products will be expertly applied so as to be gentle on carpets and property, safe for people and pets. Visit <a rel="nofollow" target="_blank" href="https://www.chemdryofseattle.com/">https://www.chemdryofseattle.com/</a> for more information. Bjorn started Hydra Clean Northwest back in 2008 after having spent years working in the landscape construction industry. His love of restoring and beautifying customers homes was taken indoors. He bought his first industrial van mounted steam cleaning system from Fjord King Carpet Care systems (a friend in the business) and began cleaning anything and everything that can be steamed. At Hydra Clean NW our goal is to maintain proper coatings on your carpets, upholstery, and all other furnishings in your home. A properly maintained coating means peace of mind, longevity, easier cleaning, and a fresh smelling healthy environment. We use the most powerful equipment available in the industry to get unmatched cleaning ability using nothing but fruit extract based solutions and last a long time. Here at Renton Water Fire Damage Pros we put a lot of faith in you, the client, to call and let us know how we can help you. We firmly believe that the best job is the one that starts with a conversation among friends. Contact Us.You can Contact Us by submitting a question through our form below. We look forward to hearing from you! Your home is likely one of your largest financial investments, and you need to preserve its integrity at all costs. However, when you attempt to take care of fire and water restoration tasks on your own, you are putting your investment at risk. Unless you have a background in restoration, and, the latest tools and technology, it is very unlikely you’ll be able to contain, and, fix the problem correctly. Our staff is here to help. We can assess the damage and help you plan out the restoration process one step at a time. We will also provide a free, in home quote so that you can understand all the costs involved. We understand this is a stressful time. We’re here to offer fire, smoke damage, water, and mold removal restoration services. Most importantly, we’re licensed, insured, and available to service both business and home owners in the Renton area. Call us today to start getting your home or property back to its original condition! We are experienced in a multitude of restoration services, and we can even provide relief for the long-term effects often experienced such as the development of harmful Mold. Here are some of the services we offer: Smoke damage restoration, Water removal, Advanced drying technology and services. Services we offer Damage Restoration pros, Water Damage Restoration, Fire & Smoke Restoration, Mold Remediation, Carpet Cleaning. Here at Bellevue Water Fire Damage Pros we put a lot of faith in you, the client, to call and let us know how we can help you. We firmly believe that the best job is the one that starts with a conversation among friends. Contact Us.You can Contact Us by submitting a question through our form below. We look forward to hearing from you! Your home is likely one of your largest financial investments, and you need to preserve its integrity at all costs. However, when you attempt to take care of fire and water restoration tasks on your own, you are putting your investment at risk. Unless you have a background in restoration, and, the latest tools and technology, it is very unlikely you’ll be able to contain, and, fix the problem correctly. Our staff is here to help. We can assess the damage and help you plan out the restoration process one step at a time. We will also provide a free, in home quote so that you can understand all the costs involved. We understand this is a stressful time. We’re here to offer fire, smoke damage, water, and mold removal restoration services. Most Importantly, we’re licensed, insured, and available to service both business and home owners in the Seattle area. Call us today to start getting your home or property back to its original condition! We are experienced in a multitude of restoration services, and we can even provide relief for the long-term effects often experienced such as the development of harmful Mold. Here are some of the services we offer: Smoke damage restoration, Water removal, Advanced drying technology and services Services we offer Damage Restoration pros, Water Damage Restoration, Fire & Smoke Restoration, Mold Remediation, Carpet Cleaning. If you’re ready to experience the best water restoration service around, call our team before anyone else. Call us today and save more! The reason that we remain the perfect choice for all of your flood restoration needs is our pure and safe techniques, using current tools and technologies. After your initial consultation, we have a better idea of your exact restoration needs. Whether you have severe storm damage, had a pipe leak or burst, or even sewer water cleanup service options, we will determine the best restoration route for your job. Next we take action to completely remove all of the water away from the site. Once the walls, floors, ceilings, and other areas are free of standing water, we can begin the restoration process. Not all flood damage cases are the same; it can range from minor repairs to all-encompassing remodeling. Light flooding typically just requires assistance in drying the area out, as well as basic cleanup services. These cases require very little time, and are easy to bring back up to their full potential. However, once the standing water has penetrated at least a foot past the walls, chances are there will be extensive repairs needed. And if a hard surface, such as stone, hardwood, or even brick, becomes saturated, you need a true professional on your side. Green Restoration Group LLC is a carpet cleaner / carpet cleaning service serving the Renton, WA area. Services include Carpet Cleaning, Water Damage Restoration, Hot Water Extraction, Commercial Carpet Cleaning, Tile & Grout Cleaning, Oriental Rug Cleaning, Area Rug Cleaning, Carpet Stain Removal, Odor Removal and Upholstery Cleaning. Meridian Chem-Dry is the premier carpet cleaning service in Olympia, Lacey, Tumwater, Shelton, and around the southern tip of the Puget Sound. Locals count on us because our cleaning service isn’t just quick-drying and effective – it’s also green-certified and safe for people and pets. Our company also specializes in rug and upholstery cleaning as well as pet odor removal. You can count on affordable, top-quality service – and healthy, clean results – every time you call Meridian Chem-Dry. 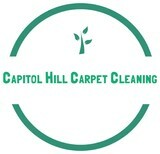 What should I look for in a local Shelton carpet cleaner? Not all Shelton carpet cleaning companies use the same methods, but there are a few common things that they should do to for a quality job. Make sure they do an analysis on the area you need cleaned and recommend the best course of action — are there large stains or high-traffic areas that need extra treatment or attention? Also, make sure they provide quick drying times so that you can be back in your home faster; that means hours, not days! A good carpet cleaning service in Shelton, WA should move furniture (within reason) and put it back in place when they are all done; don't let them charge extra to do this. Another important factor to look out for is whether or not the carpet cleaners use chemicals, and if so, they should be asthma- and allergy-friendly. This is especially important for households that have children or pets. Lots of Shelton carpet cleaning services also clean rugs. Rug cleaning can involve anything from a simple wash to complete re-weaving or foundation work. Make sure the local rug cleaner you choose has experience with the types of rugs you need serviced, especially if they are hand-woven or Oriental rugs. What should I look for in a local Shelton upholstery cleaner? Upholstery comes in many more varieties than carpet and rugs, thus needs cleaning tailored to each specific blend. Even if you don’t know what material your sofa or chair is made with, a good upholstery cleaning service in Shelton, WA will be able to identify it and treat it appropriately. Some textiles require dry cleaning and that can’t be done in home, so if that’s the case, check with the upholstery cleaner and see if they offer pickup and drop off services. Leather cleaning is a bit different and often involves more restoration and conditioning than actual cleaning. Make sure the Shelton furniture cleaning service specializes in leather if you are considering them for the job. Find Shelton upholstery and carpet cleaning services on Houzz. Narrow your search in the Professionals section of the website to local carpet cleaners in Shelton, WA and read reviews and ratings to find one that fits your needs.